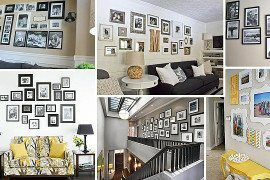 We may be starting with wall frames (which seem to be the gold standard for photo displays), yet the selections below are anything but ordinary! 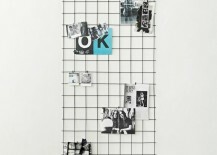 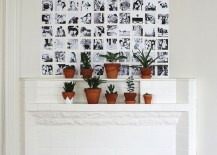 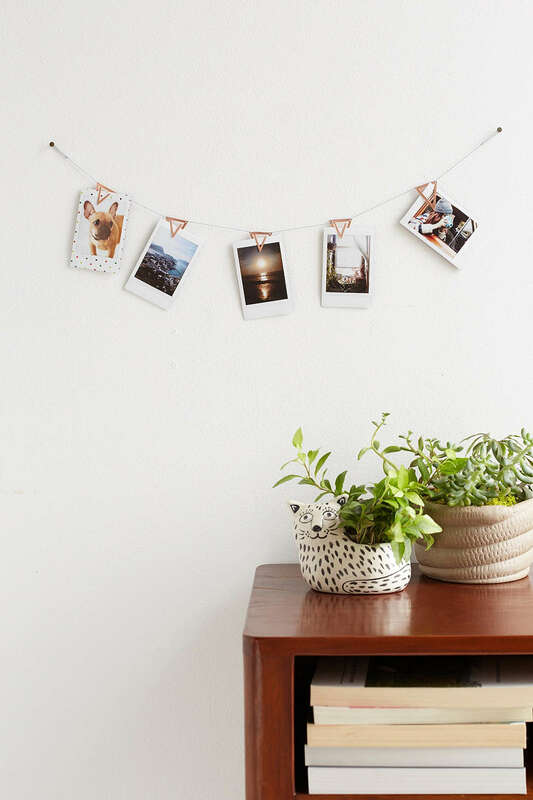 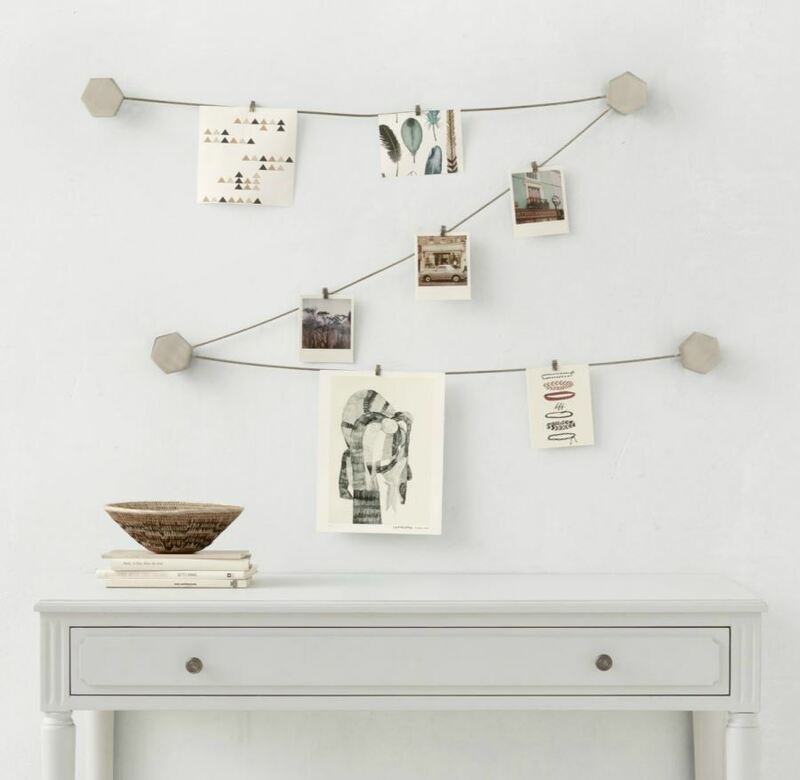 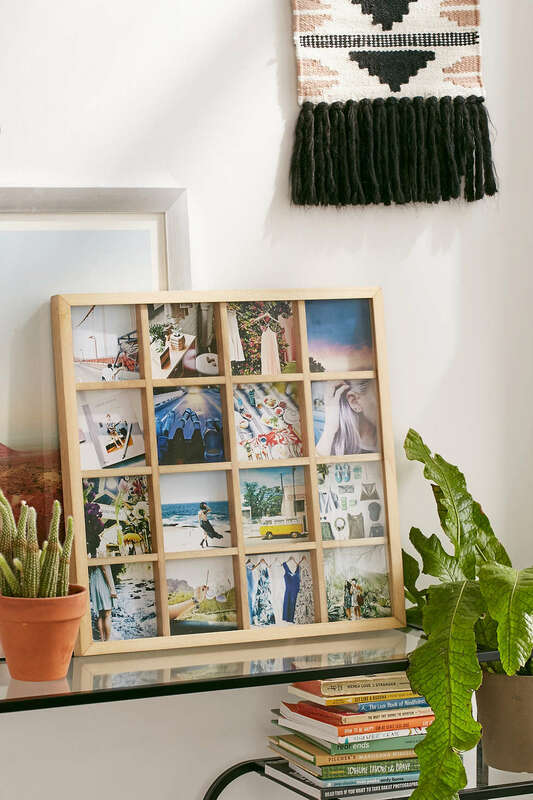 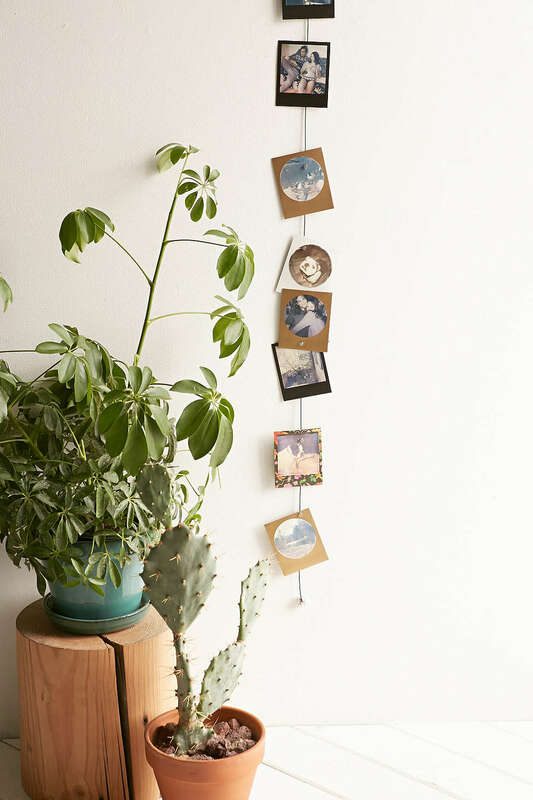 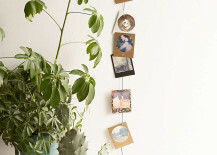 This Picture Frame Set from Urban Outfitters features ten frames in various sizes. 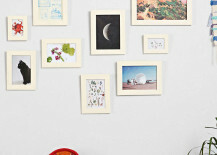 Choose from white, wood or black, and take the guesswork out of coordinating your own set of frames. 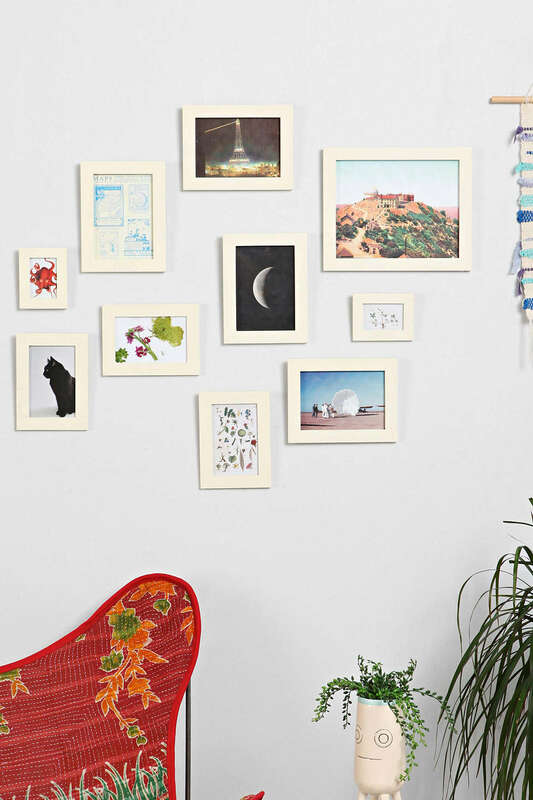 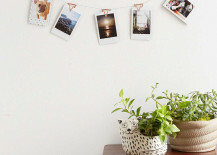 One purchase, and you have the ingredients for an instant gallery wall. 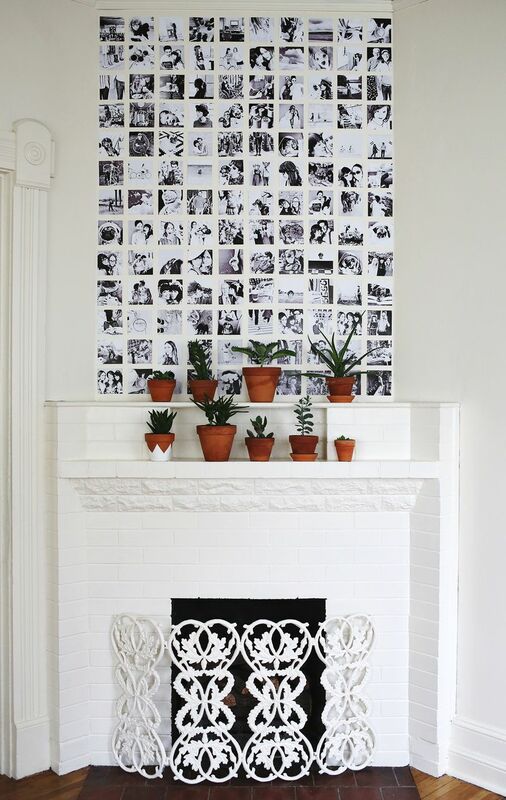 For a true gallery feel, mix in photos of places or nature rather than displaying only family shots. 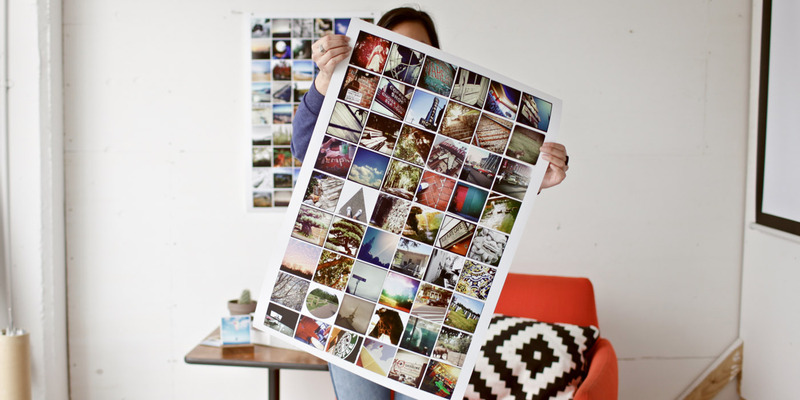 If you’re not up for securing each photo to a collage, order a photo poster from Social Print Studio. 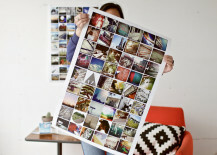 You get to choose 50-200 Instagram photos, and Social Print Studio will do the rest. 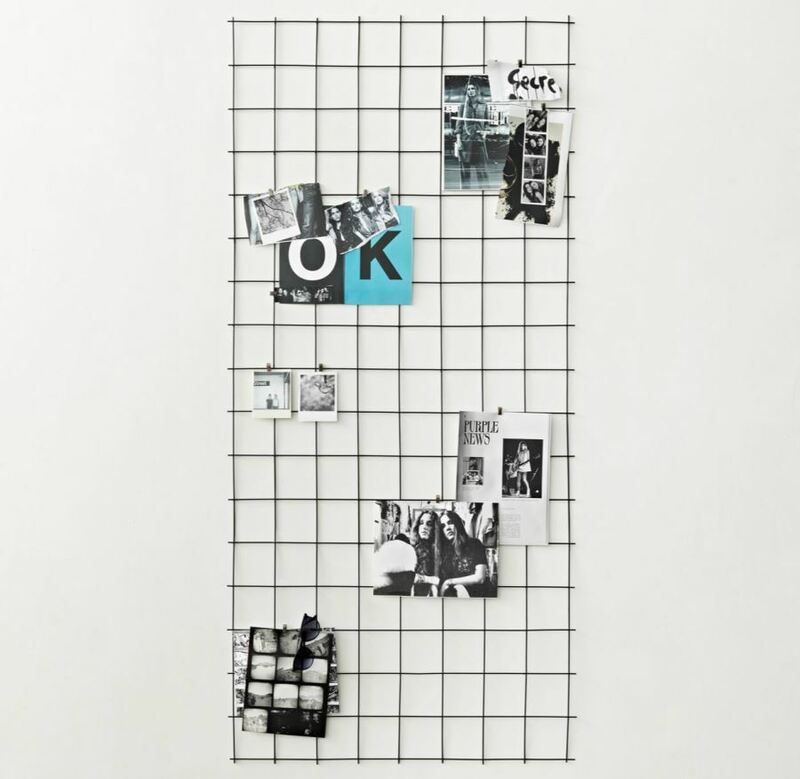 Once again, it’s all about the grid! 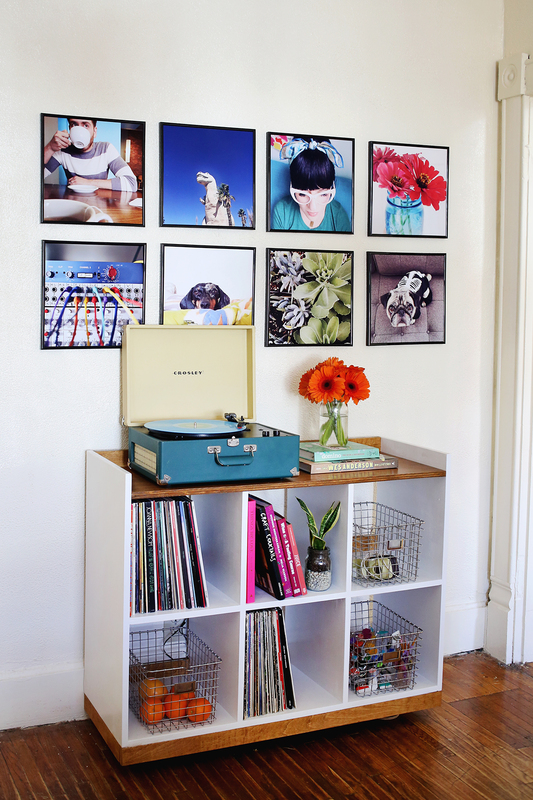 For an additional fee, you can even get the poster framed. 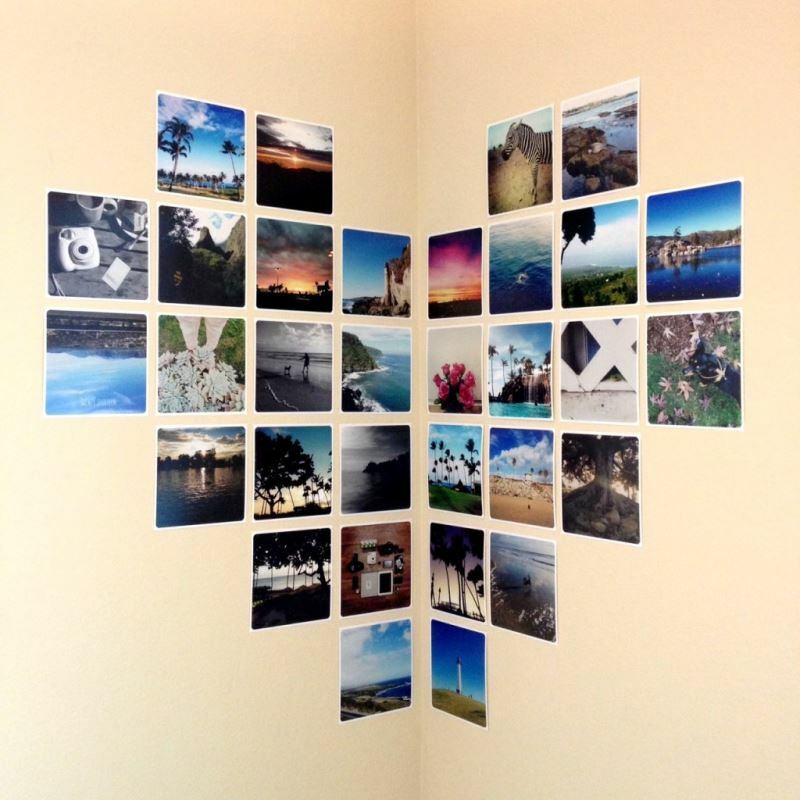 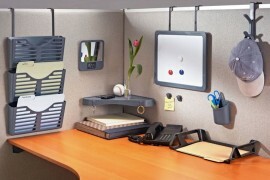 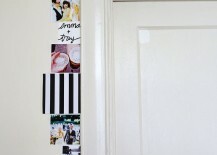 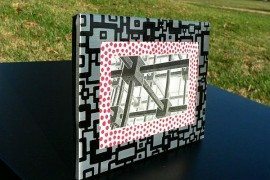 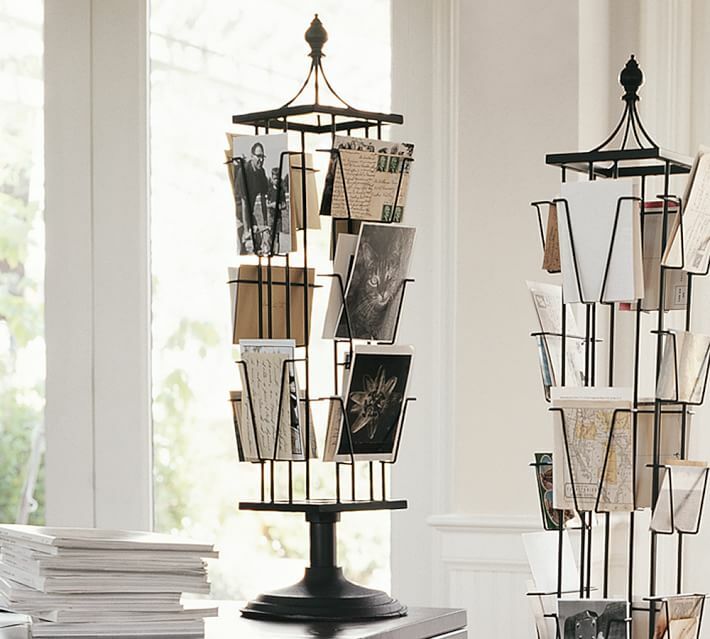 Give a dull corner some pizzazz with this corner heart display featured at PostalPix Blog. 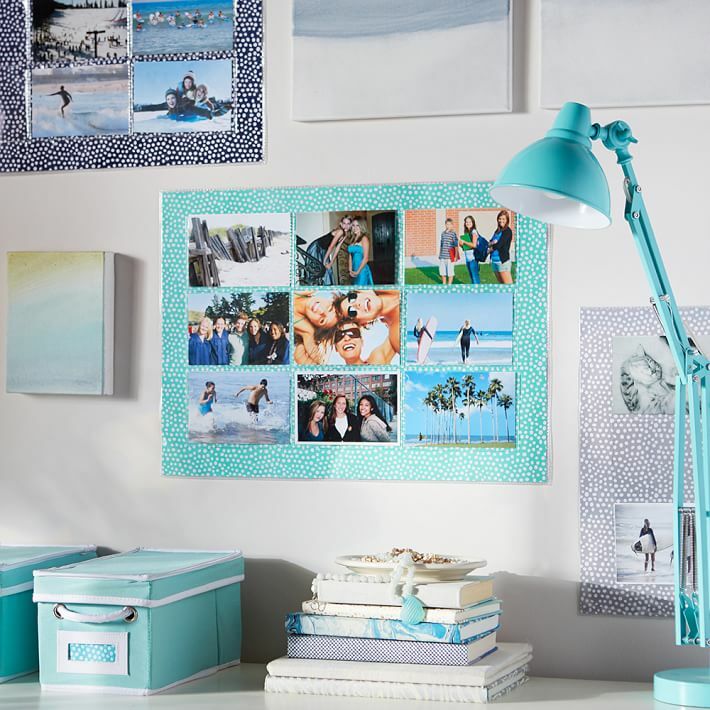 The color really brings the wall to life, don’t you think?! 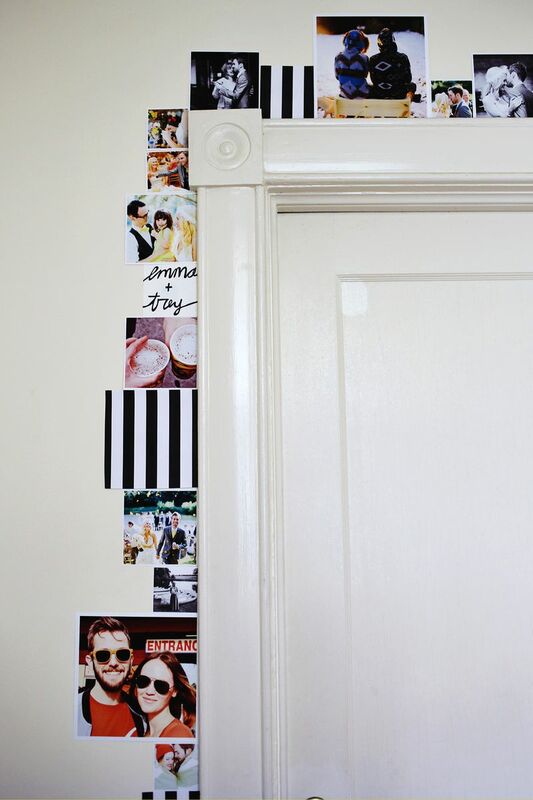 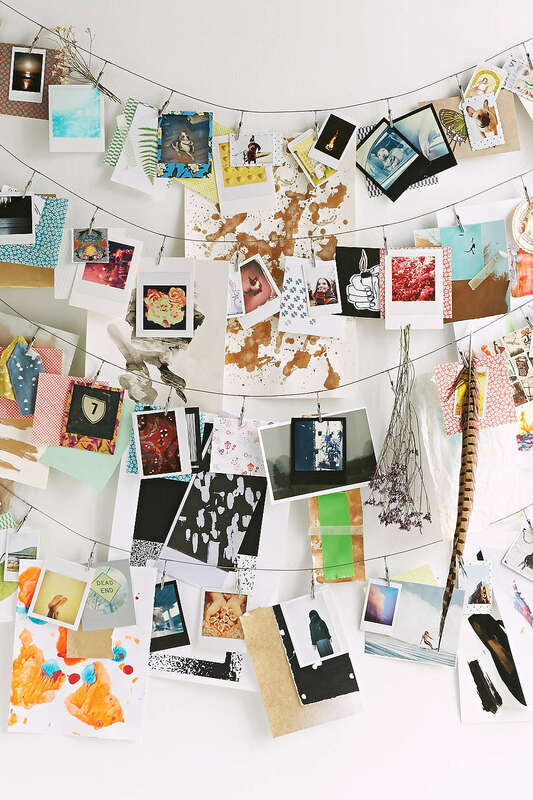 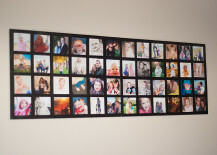 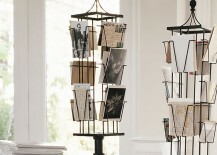 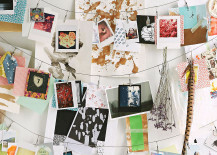 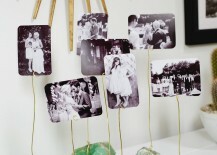 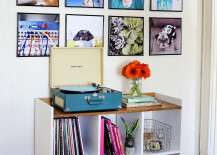 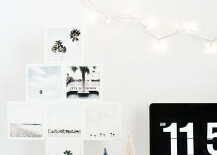 Or you can go bold with a whole wall of photo string displays! 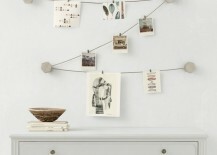 Also from Urban Outfitters, this Metal Photo Clip String Set comes with 12 clips and one string. 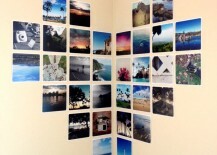 But as you can see below, there is power in numbers, so don’t hesitate to order several to give your wall new life. 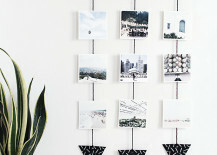 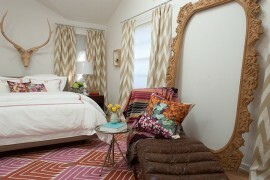 Photo wall hanging from Homey Oh My! 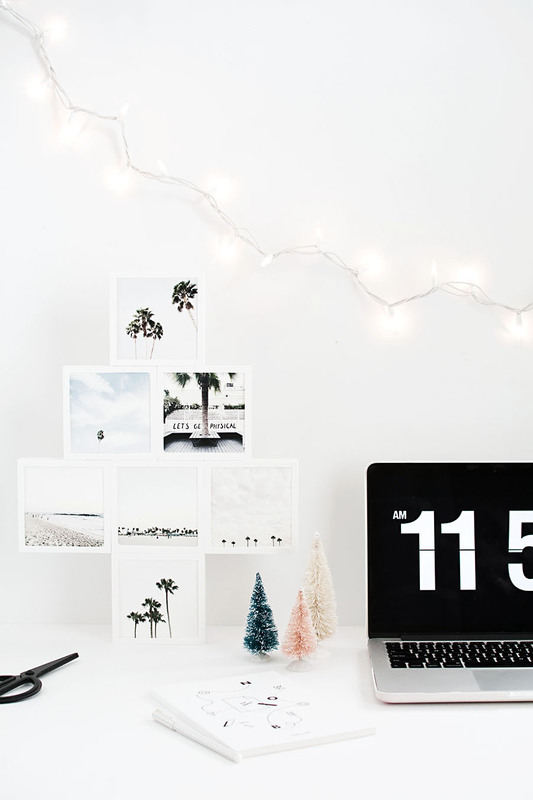 Craft a DIY Mini Photo Christmas Tree from Homey Oh My!, or make this tree work year-round in your home, thanks to fotobit frames that can be connected in any configuration! 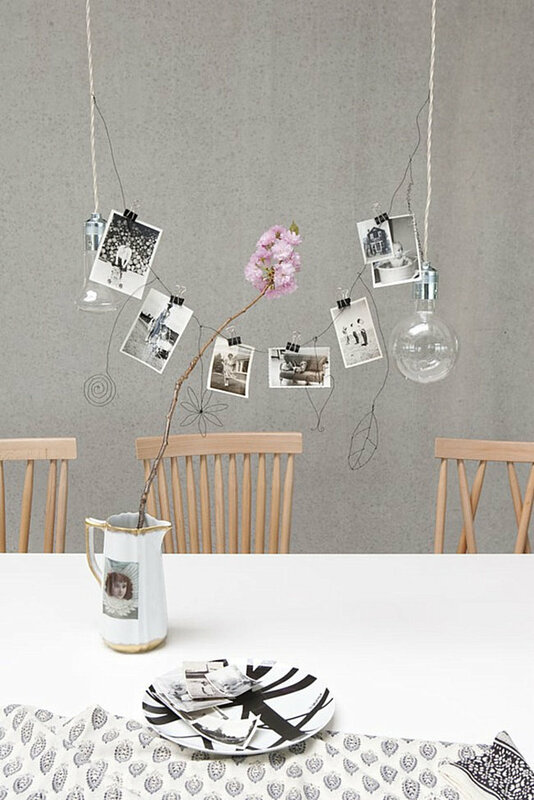 Photo tree from Homey Oh My! 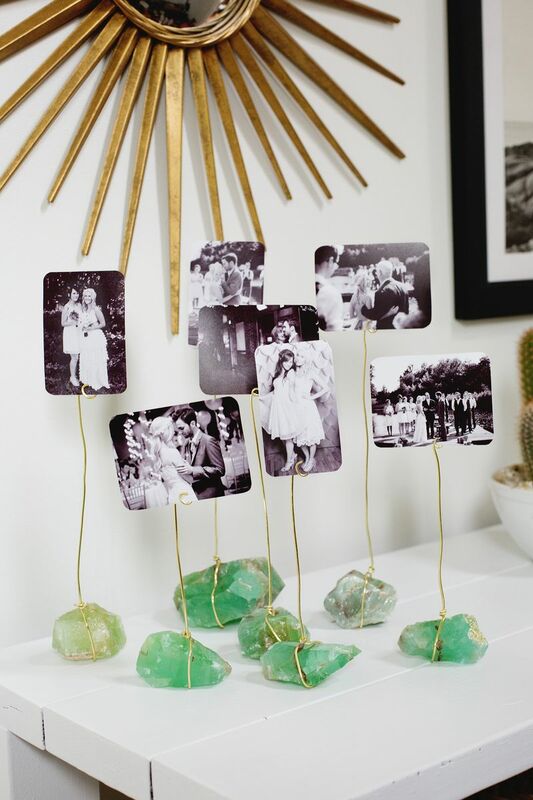 Last but not least, you can use crystals and craft wire to create a Mineral Photo Display that holds your favorite snapshots. 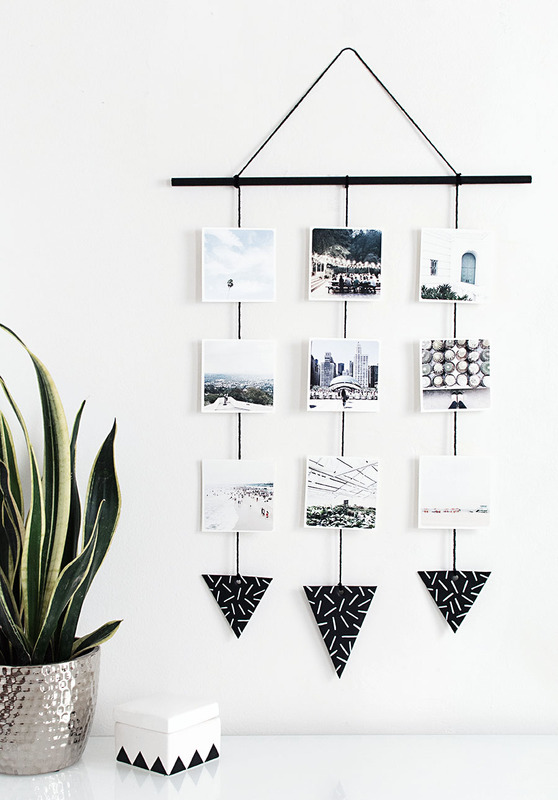 Emma from A Beautiful Mess shares tips for working with wire in the tutorial. 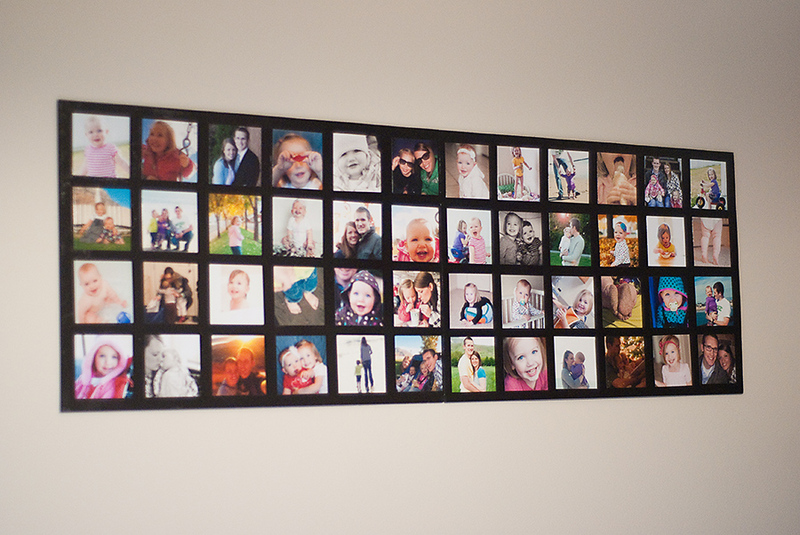 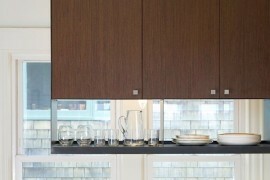 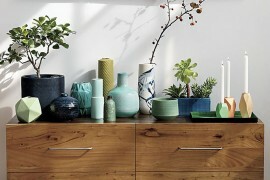 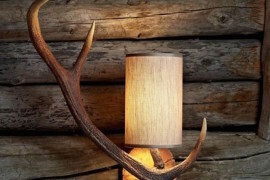 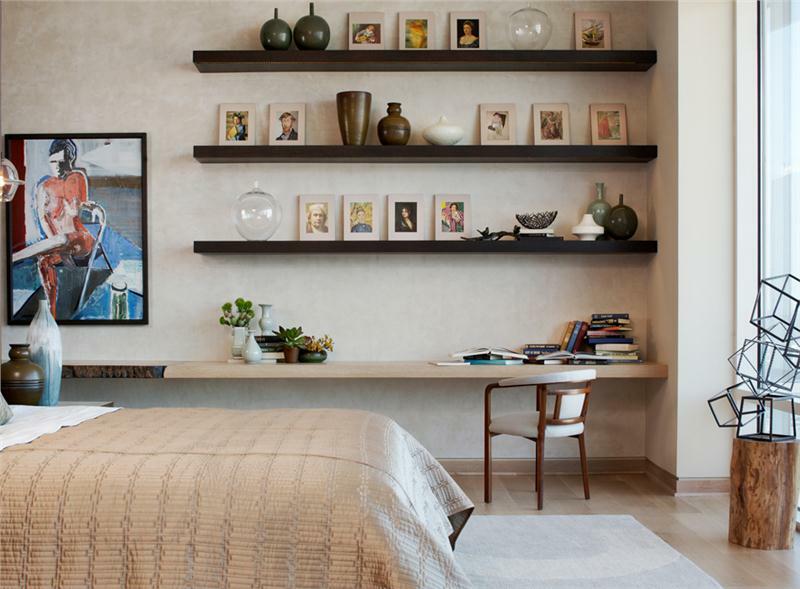 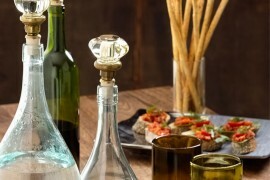 Will you be incorporating any of today’s featured photo displays into your home?